Flamy and bright Helena set incudes a necklace and the matching earrings. 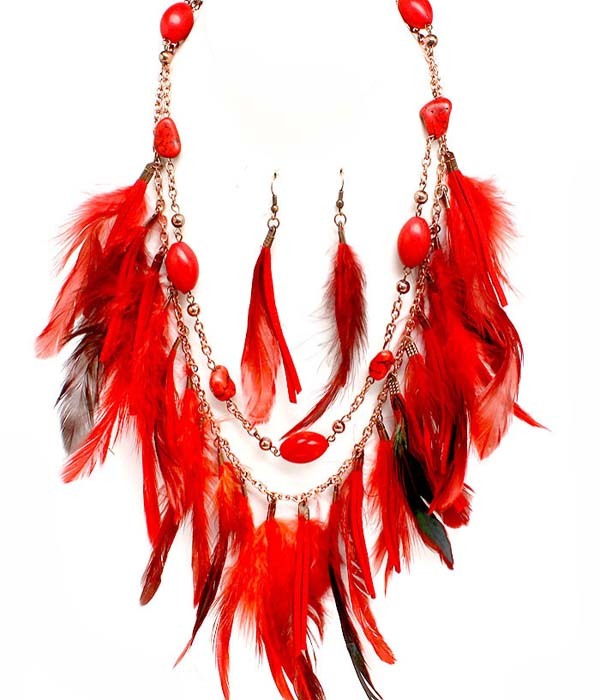 The necklace features two gold filled chains with red natural stones of different shape and size with a row of long red feathers dangling on a lower chain. Buy from the hottest range of online necklaces for women right here at Oz Bling.